To some, a window is only glass in a wall. At Andersen, it’s a commitment: to a clear view of the world outside…protection from the elements…natural beauty…consistent comfort…and peace of mind. Andersen is a top of the line product at a reasonable cost. The customer receives a lot for their money and Andersen stands behind their product. With a large selection of options, a maintenance free exterior, all wood interior and good fit for sizing, Andersen windows are some of the best performing products on the market. With the most extensive selection of shapes, sizes, styles and finishing options, Marvin gives you virtually unlimited design capabilities and the flexibility to get exactly what you want. This “Built for You” philosophy lets Marvin bring a more human touch to their windows and doors. One that comes through in better crafting and lasting value you will enjoy for years to come. As a leader in innovation, Marvin is dedicated to creating products that make the places where we live and work more functional, beautiful and meaningful. Their combination of superior craftsmanship and design capabilities make Marvin the best total value on the market today. They will build you any shape, size and type of window or door. 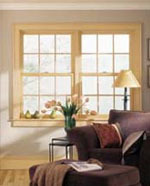 Marvin windows are an excellent choice for historical renovations and the many older homes in the Pittsburgh area. They are a very high-end product that is sturdy in build. At Pella, they are doing more than building beautiful windows and doors. They are creating a better view of the world. They are proud environmental stewards not only because it’s good for business but because it’s the right thing to do. 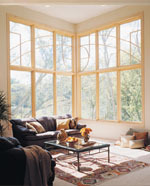 Pella has been a leader in the window and door industry for more than 80 years.